Whether you’re a first time shopper or veteran watch collector, shopping for automatic dress watches is never easy (well, it IS easy if you have an unlimited budget). Buying a watch is really a cost benefit style analysis and often a true watch aficionado will compare the value of the movements to the price tag before deciding that the premium is well worth it. Definitely not for the faint of heart (or wallet), Breguet and Vacheron hold serious cachet and horological street cred for its wearer. It’s no coincidence that I chose to start this Monsieur’s Buyers’ Guide to dress watches with the creme de la creme of watch marques. The watch choice of Sherlock Holmes bears small seconds on it dial and there’s a pretty decent facsimile from Raymond Weil but since I’m attempting to compare oranges with oranges- I’ve opted for the clean dial Breguet 5157. 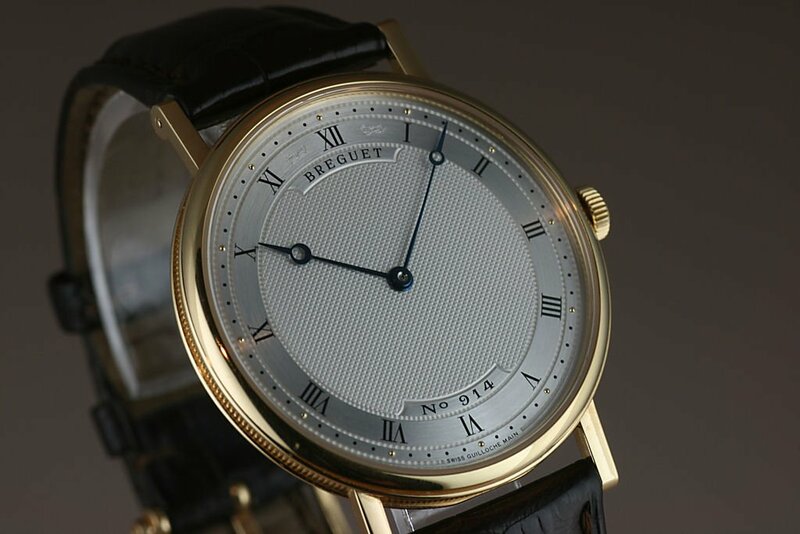 The guilloche work is simply stunning and tends to lean towards classic elegance. It’s not quite Don Draper retro but I feel it takes top place (tied perhaps with the Patrimony Contemporaine) for a place under your tuxedo sleeve. The display caseback is always a beauty to look at adding to the allure of the 5157. 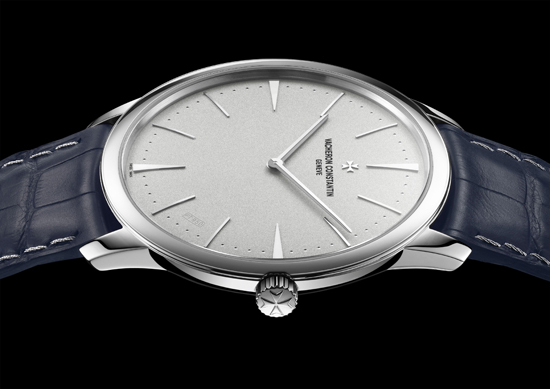 Originally introduced as the Patrimony Grande Taille, Vacheron Constantin’s Patrimony Contemporaine is simply the larger 40 mm cousin that has become the standard size for Vacheron. Side by side, the Patrimony Contemporaine is not as dramatic as the guilloche dial on the Breguet 5157 but what it lacks in appearance, it more than makes up in manufacture caliber. Powered by caliber 1400 first used in the Malte Grande, shaped bridges and detailed finishing make this one of the few movements to earn the Geneva Hallmark. 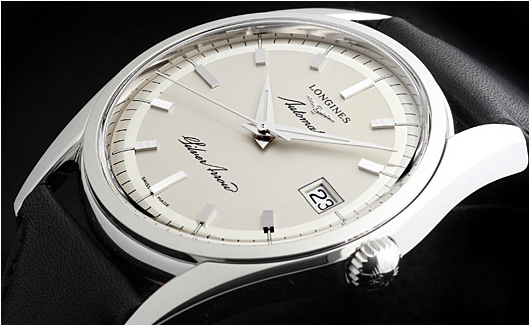 Unlike its high end relatives, the Longines Silver Arrow can be comfortably worn for the workplace or part of a casual friday blazer and jeans ensemble. 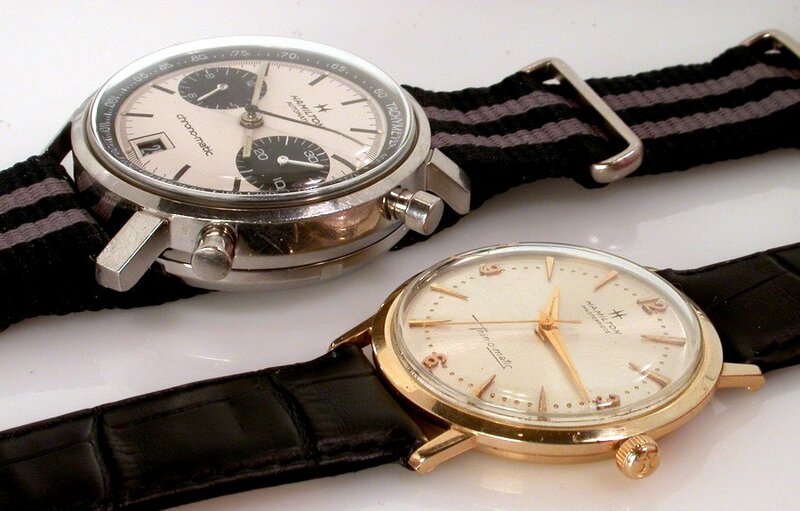 If Baselworld is anything to go by, retro is in and many watch brands are turning to their heritage pieces for inspiration. I’m loving the vintage style applied indices and while I feel the 2011 update is better looking than the 1955 original purists may find the date window a tad distracting. Though not a manufacture movement, the ETA 2892 is a solid movement used in either modified or stock form in many other high end timepieces. If you’re looking for a stylish dress watch that won’t break the bank, you can’t go wrong with the Longines Silver Arrow. 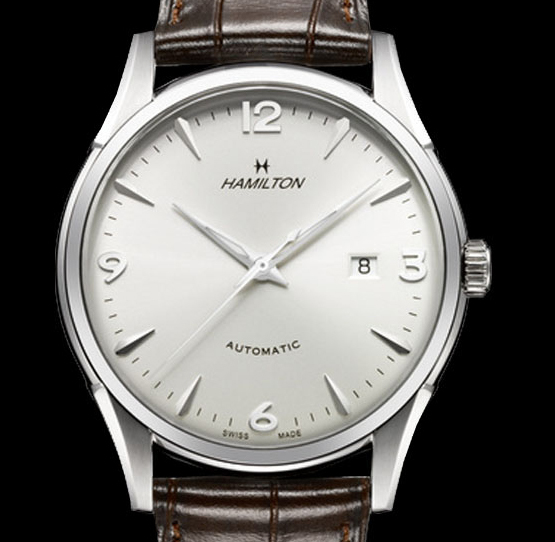 Before I lavish fawning praise, I’d like to point out that the Hamilton Thin-O-Matic running on stock ETA 2824 isn’t exactly “thin” but it shouldn’t dissuade you from owning it- the Thin-O-Matic is a one for one reproduction of the original 60s model right down to clean dial and retro “H” font for Hamilton. Having tried on both versions, I’m tilting more for the 38mm as the 42mm version tends to lean towards Omega tool watch category; after all- smaller is dressier. Don’t expect “Hallmark of Geneva” finishing though. Manufacture in-house movement? Check. Affordability? Check. It’s no secret that I’ve been a big Seiko fan even though my last job (editor at a magazine) required me to be more Swiss-friendly; the Seiko 5 SNX 123 is a great first time piece and if customised correctly- a solid looking dress watch that compares (at least in terms of appearance) to any of the other timepieces listed here. I’d recommend customising the date wheels from stock white ones to black date wheels, get rid of the thin oyster-style steel watch strap and replace it with something in crocskin and you have a sub $100 dress watch capable of rivalling top names in terms of looks. Here’s the kicker- in house movement at 1/1500 of the price. Apologies for the late reply as I’ve been busy. I’m assuming your budget is USD100-150 since you mentioned dollar rather than rupee. For that amount, you can go with a Seiko 5 Automatic Men’s Watch SNX123K like the one I mentioned in the post. You can buy it on ebay for less than US$100 (it’s $87). With the standard steel bracelet, it’s the perfect watch for work or dinner events. When paired with a NATO strap, it’s the perfect watch for denim jeans and weekends. I like the look of that leather strap fitted on the customized SNX123. 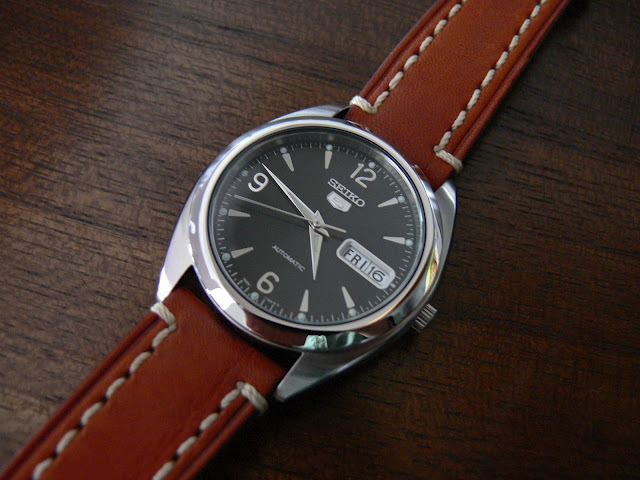 May I know what leather strap is that and where can I get it? Cannot seem to find that SNX123 anywhere on the planet.